First New York, then Los Angeles and now Miami. 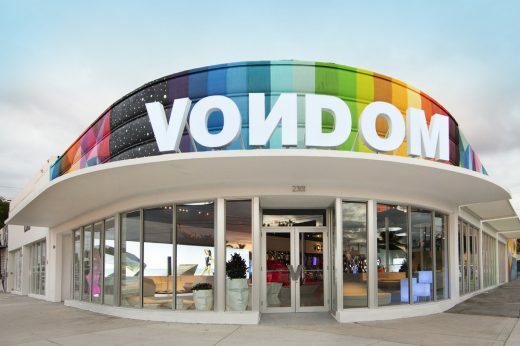 In December 2016, Vondom launches the brand new Flagship Store in the district of Wynwood, thus asserting its continuous expansion throughout the American continent. The new flagship store of the furniture brand is designed and directed by Ramón Esteve Estudio and the artist Okuda San Miguel is the author of the painting on the large façade. POP SURREALISM WITH A STREET SOUL The design proposal by the Spanish artist was the winner of the Miami WallArt Project competition. In his design, multi-colored geometrical architectures merge with organic shapes, bodies without identity, animals and a lot of conflicting symbols that move you to refection. Geometrical structures and multi-colored patterns join together with grey volumes and organic shapes in an artistic piece of work that could be labelled as Pop Surrealism with a street soul. A unique and very special iconographic language. 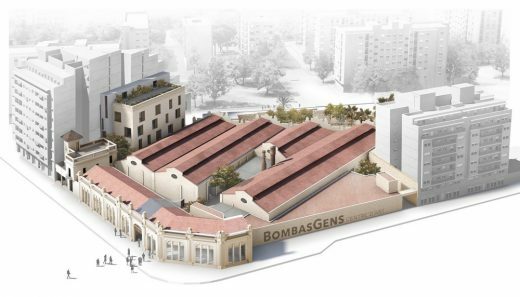 CURVILINEAR AND INDUSTRIAL Ramón Esteve has used the same curvilinear and industrial language of the building, with round corners that make it look continuous both inside and outside. Circular shapes cover every vertical and horizontal surface of the interior. Some shelving made of circular units with different diameters has been placed on the perimeter, thus enclosing the space. It contains the injection collection and the flowerpots on some mirror shelves. 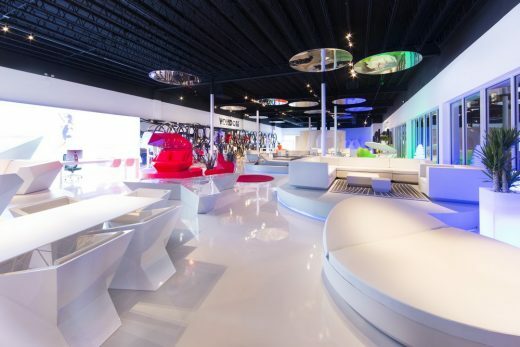 Some cylindrical platforms display the collections and create a landscape that is organized through monochrome islands of different colors. Circle-shaped mirrors hang from the ceiling above the platforms, reflecting the colourful collections below the deep black ceiling. A continuous concrete pavement creates a free-flowing path across the colored islands. The central cylinder contains toilets, kitchen and a meeting room, organizes the space around it and supports the brand logo. 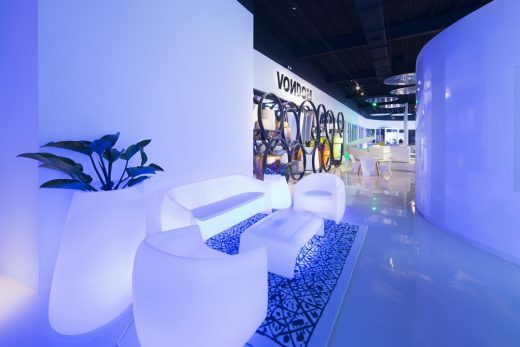 The customer service stands are highlighted by backlit background images of the Vondom collections.